Freedom of Movement – A system that works around you, not you around it! Freedom of Value – The best quality equipment, with exceptional TCO! Freedom of Assembly – The exact equipment configuration for your exact purpose! Freedom of Sharing – With Meridian’s DR packages, you can share anywhere! Freedom from Worry – World Class products with over 125 years of research and experience! Freedom from Export – All work guaranteed and provided by a local corporation! Space is money. 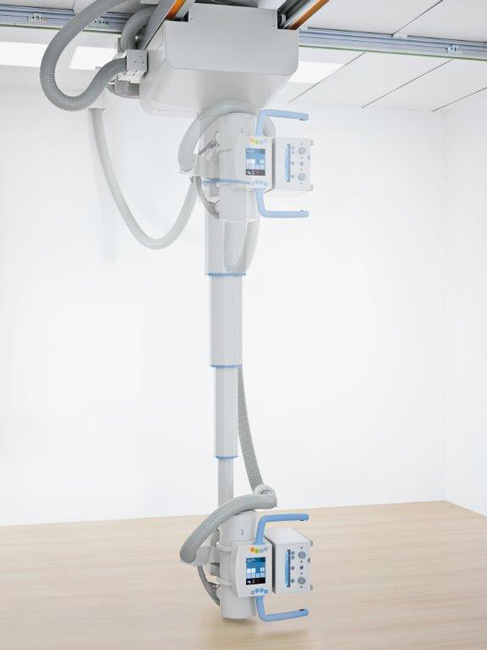 Intelligently designed, Multi-Flex Freedom fits virtually any existing X-ray room. You don’t have to consider expensive room modifications or other cost drivers. Fast and easy installation helps cut costs even further. 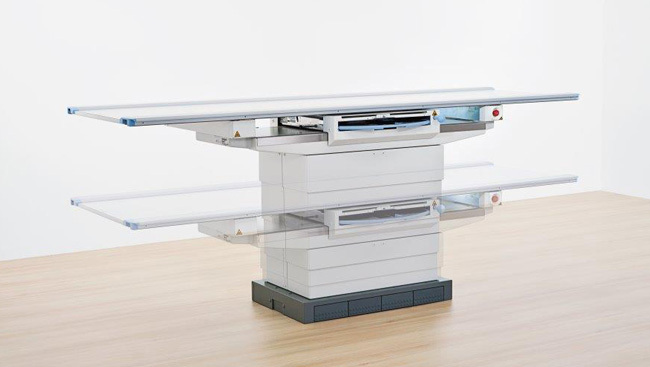 And Meridian’s (optional) Digital Imaging system is designed for high performance in a very small space: one monitor, one mouse, one keyboard – that’s it. Just choose the configuration that suits your clinical requirements and investment budget. You’ll benefit from low running costs throughout the entire life cycle, thanks to smart room utilization, low downtimes, and reduced training costs. At the same time, you can increase revenues. High throughput thanks to fast exams and high uptime, a positive reputation, and increased marketability is just one key factor. Multi-Flex Freedom also gives you investment security – with many options for upgrading and improving your system. 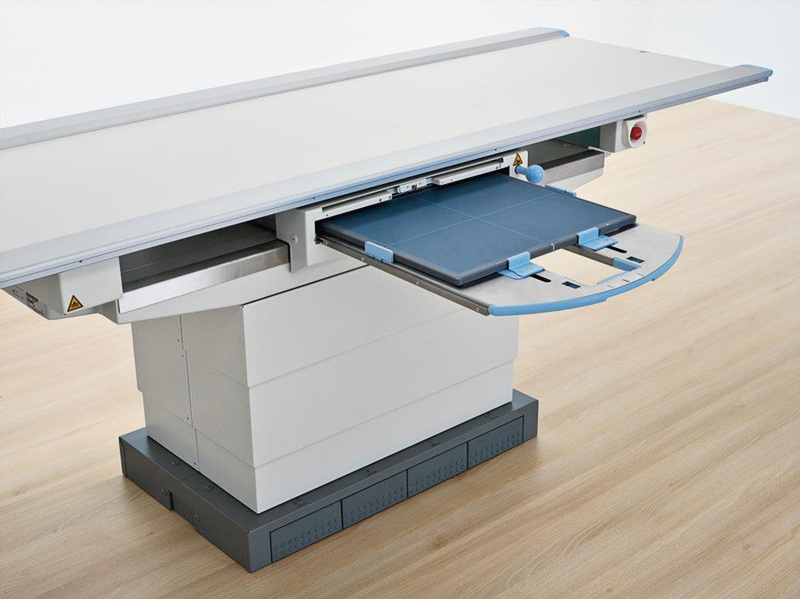 The height-adjustable table has a free-floating tabletop to make life easier for your team and your patients. 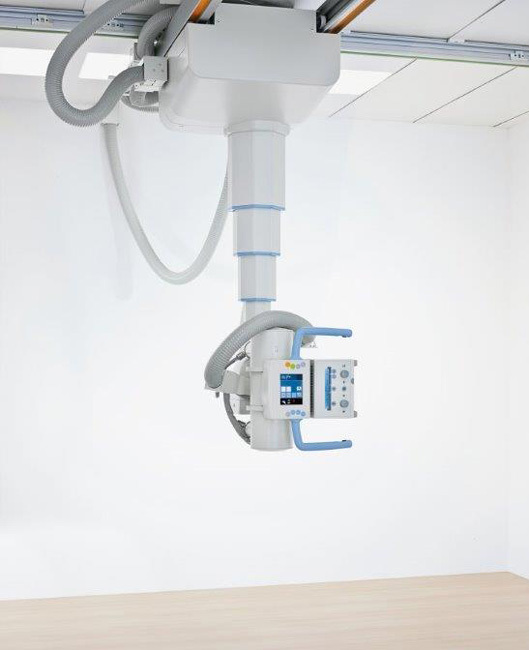 You can move it to the required position quickly and effortlessly, and lower it to 52 cm (21’’) for easy patient access. 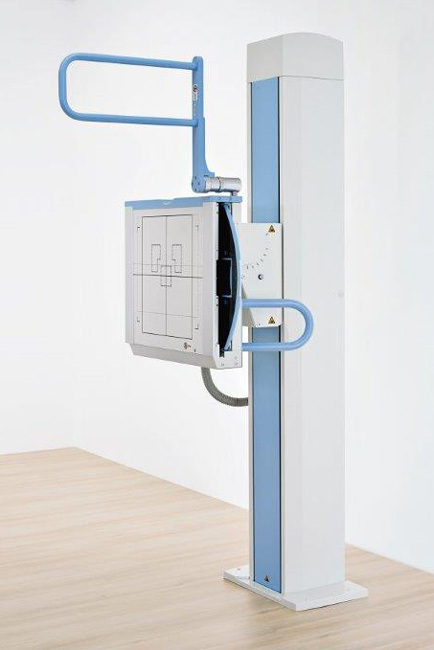 An impressive 190 cm (75’’) patient coverage ensures that patients can be examined from head to toe without repositioning. And with a weight capacity of 300 kg (660 lbs), it’s very robust. 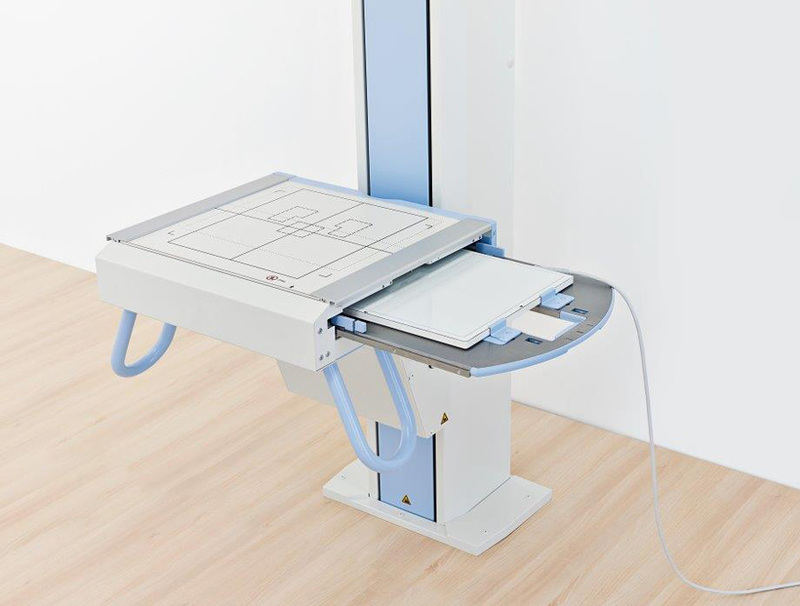 The table saves you time and effort and fits nearly all of your patients – the tall, the small, and the patients of size. You can operate Multi-Flex Freedom right at the tube, without having to leave the room. The intuitive color touch display allows you to set and change all key image parameters like kV or mAs. The user interface features color bars that clearly show when the system is ready – visible even from a distance. You can handle the display with one hand, so the other is free to comfort your patients. The robust tube is easy to operate: It can be moved smoothly and effortlessly, as it is mounted on an exceptionally strong ceiling stand. Thanks to an impressive vertical range of 180 cm (71’’), the tube can go all the way down to where your patient’s feet are. 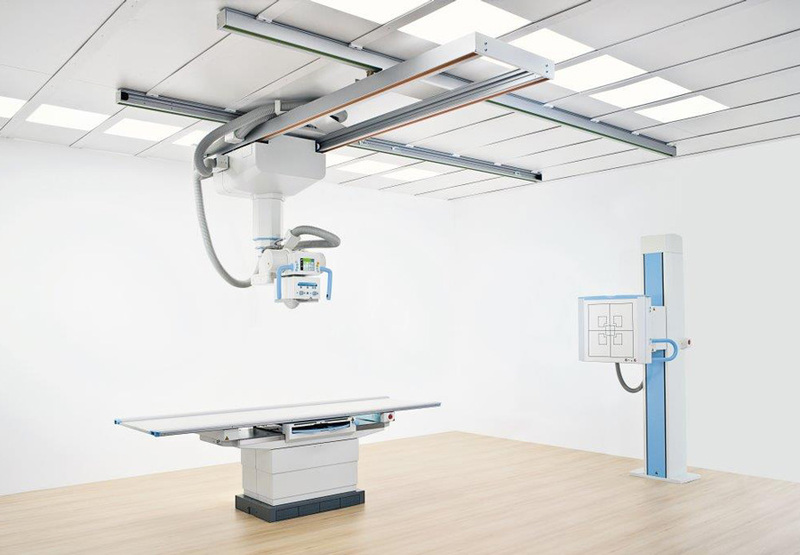 The x-ray tube will follow the wall stand position exactly and automatically thanks to our Chest Link(TM) Auto tracking. By the way, we,wanted you to know that our analog system version allows single-handed cassette loading! You need only one hand to load the cassette into the bucky tray, so you can always have one hand free for your patients comfort. Multiple Wall Stand Detector configurations are available as a digital upgrade to this package. Additional Grids in multiple distance and lp/mm configurations for various DR detectors are available. 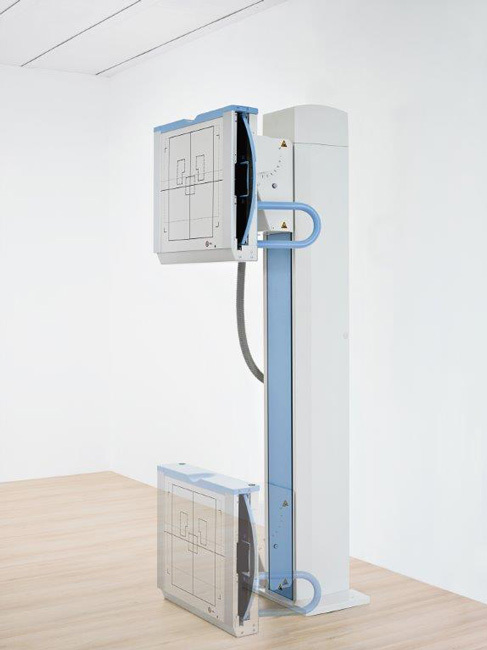 Wireless Cesium Detectors provide the highest image quality possible at the lowest patient dose*. 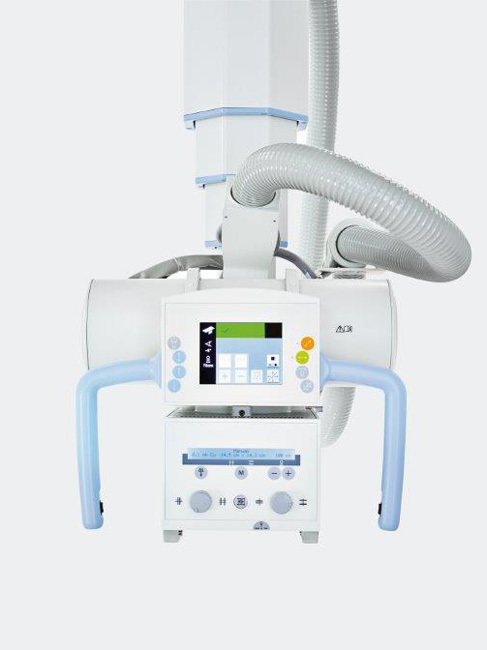 Meridian DR can be fully integrated into the Multi-Flex Fusion Radiographic System. Meridian offers accidental loss protection for all DR Detectors. Multi-Flex Freedom offers many features to reduce patient dose. Copper filters are defined by the anatomical (organ) program and help decrease skin dose. Easy grid removal helps minimize dose for all patients. The low-absorption tabletop material and the short distance between detector and work surface diminish patient dose, as well.